I am SO excited to be back this week with another fabulous couple of giveaways! 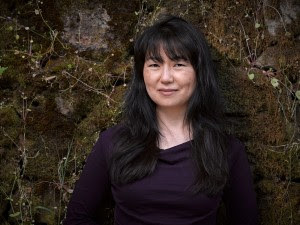 First up, Susan Ee is offering up her ebook, Angelfall. I'll let you read the description first before I start gushing. Click on the image above to find out more about Angelfall! Tell Great Stories - "The Best Book of 2011"
The Happy Booker - "Ultimately, this is one of the best, if not the best, book I have read in 2011"
The Book Pushers - "I can't say enough good things about this book and…it has definitely topped my top ten this year, and is a standout debut." The Procrastinator's Corner - "It's been so long since I read a book that has rendered me absolutely speechless….The good scenes just keep coming and coming." Bite Me, Book - "this is now one of my favorite supernatural/dystopian books." Boekie's Book Review - "Wow! Angelfall is gritty, horrific, fantastic and captivating!" My turn to gush! When I found out I'd be giving this book away, and I saw that it was available on Amazon for only $0.99 (I hesitate to admit it b/c I still want you to enter the giveaway), I decided it might be worth the read. WOW was it ever (incidentally, 158 other 5-star reviews on Amazon appear to agree with me). I read it nearly a month ago and I still find myself thinking of this book at least once every other day. This was one of those books I just couldn't put down, and it was a good thing I was reading it over my birthday because otherwise I wouldn't have had the luxury of devouring it in 2 days. As I was reading, I could see the little bar at the bottom of my screen creeping closer and closer to the end, and, I admit it, I yelled at it to stop. I literally did not want this book to end. Fortunately, once I got there and I looked at the title again I saw these words, "Book One." I breathed a sigh of relief, because it meant that a "Book Two" would be coming sometime in the (hopefully NEAR) future. Trust me, the end of this book has many unanswered questions and a lot of opportunities for expansion- not so much that you'll feel like you're at a cliffhanger, but enough loose ends that you'll be craving more resolution. This book is definitely in league with The Hunger Games series- got some gore, lots of life-and-death intensity, and never knowing what will happen next. Ee does an amazing job at creating memorable atmospheres within her scenes and bringing complex characters to life, unfolding them like blossoming flowers. The relationship between the main characters is layered and certainly not simplistic. What exactly do you do when you start to care about someone whose main purpose on earth is to destroy the human race? I found myself constantly having to remind myself that Raffe was not the handsome hero my brain wanted him to be- he was the enemy, and I think Penryn and I shared our frustration with that contradiction. So anyway, I strongly encourage you to enter this giveaway, but if you don't win, you gotta go buy this book from either Amazon or Barnes & Noble. And once you get completely addicted as I am, be sure to follow Susan Ee on her blog, SusanEe.com. You can also find her on Facebook, Twitter, Google, and Goodreads. 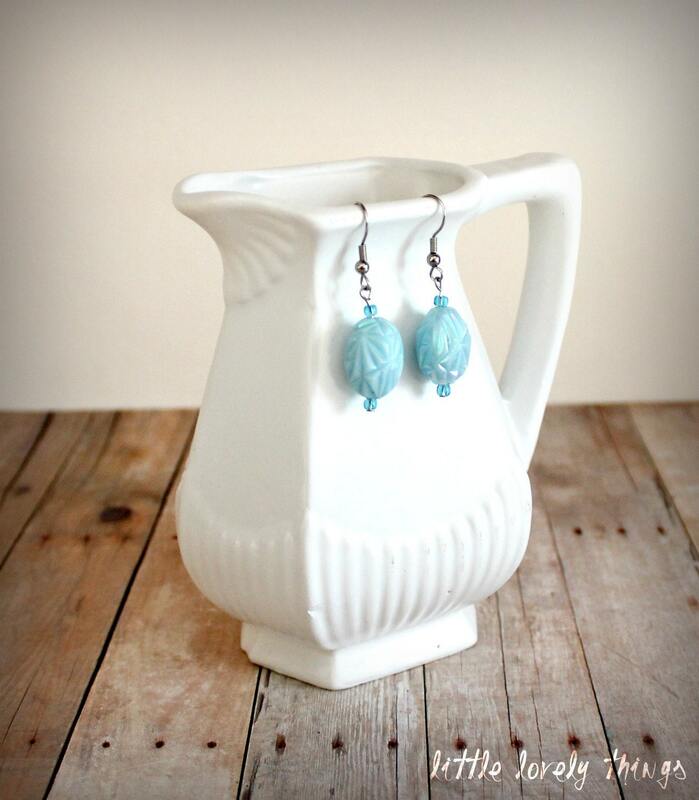 For the crafty end of our giveaway today, I am pleased to be able to offer this lovely set of beachy blue earrings from my good bloggy friend Alyssa! Can't you just see yourself throwing on a clean white button-up blouse, putting your hair up and then wearing these fresh-as-the-ocean earrings? I'm talking effortless casual chic, ladies. Alyssa practically gives her gorgeous jewelry away over at her etsy shop, Little Lovely Things- everything there is under $5! I've purchased from her before and her pieces are high quality, stylish, and completely unique. By the way, did I mention that Alyssa is 16? Seriously! This girl is amazing. She is a strong Christian, such an amazing example to her peers, and truly a beautiful person inside and out. For those of you working on those YA novels- this is the kind of girl we could use as a heroine (no superpowers, but she's wicked good with a can of spray paint). Go check out her blog at Live. Love. Craft. Just like last week, we will have TWO winners- one for Angelfall and one for the earrings. You can let me know which prize you'd like to win as I will do two separate drawings- one for the book, one for the earrings. You are allowed to enter both drawings- just let me know in your comment that you'd like to be entered to win both. If you don't specify which drawing in your comment, then you will be automatically entered to win both prizes. You can only win ONE prize! If you are a winner in one drawing, you will be out of the running for the other. ALL ENTRIES MUST BE MADE BY 11:59 PM MST tonight, January 23, 2012. Winners will be posted tomorrow morning in our Winner's Circle (tab at the top of the blog home page). As usual, there are multiple ways to earn entries into this drawing, make sure you take advantage of ALL of them. 2. Become a follower of this blog or tell us you already are (you must clearly state in your comment on this post that you are a follower to receive credit for this). 3. Follow MMW on Facebook (again, you must clearly state in your comment on this post that you have done this to receive credit). 5. And, because I want to give you even more ways to win, you can earn an extra entry this week by visiting Alyssa's blog over at Live.Love.Craft. and following her over there- don't forget to let me know in your comment HERE if you've done that. I will be back here next Monday with one last great giveaway (well, the last one for me, anyway) that you don't want to miss! This was a great book. I'm dying to read the next one. 99¢ is definitely a steal! I am so excited about this give away! I would be happy with either prize! Agelfall sounds like a fun read. I'd love to win it! Okay, let's see... I follow MMW on Facebook, I'm already a follower of this blog, I'll advertise this on Facebook in a few minutes (LOL!). this sounds awesome! I hope I can get my fingers on it. I also checked out her blog and following it now, along with posting this give away on fb. Don't forget i already follow this blog and you on fb. The earrings would be wonderful THANK YOU!! GFC: Mary Preston - MMW and Live.Love.Craft.